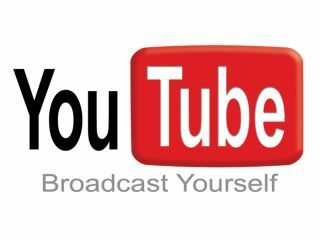 Google has revealed what everybody who visited YouTube pre-2006 knew already – the site's popularity was all due to it showcasing pirated content. The revelation has come from internal documents which state that YouTube was "completely sustained by pirated content" before Google muscled in on the action, buying the business for a staggering $1.65 billion (around £1.07 billion) in Google stock. This is obviously something Google would never admit in public ("hey guys, we just bought a boatload of pirated content for a billion dollars") so it was down to the company currently suing them to release the files. The move is all part of Viacom's $1 billion lawsuit against GooTube. Unsurprisingly the documents were labelled "highly confidential" and also note that Google wanted to distance itself from the site "based on our respect for copyright". Google has obviously hit back at the claims that it knew it was boarding a pirate ship by the name of YouTube, saying in a statement: "These documents aren't new. They are taken out of context and have nothing to do with this lawsuit." The piracy revelation by Viacom is just one of many public slurs the company has made against Google - the most recent being that the site held copyright to ransom. A saucer of milk is currently being delivered digitally to table one.